Until recently, Facebook had dominated the social media landscape among America's youth – but it is no longer the most popular online platform among teens, according to a new Pew Research Center survey. 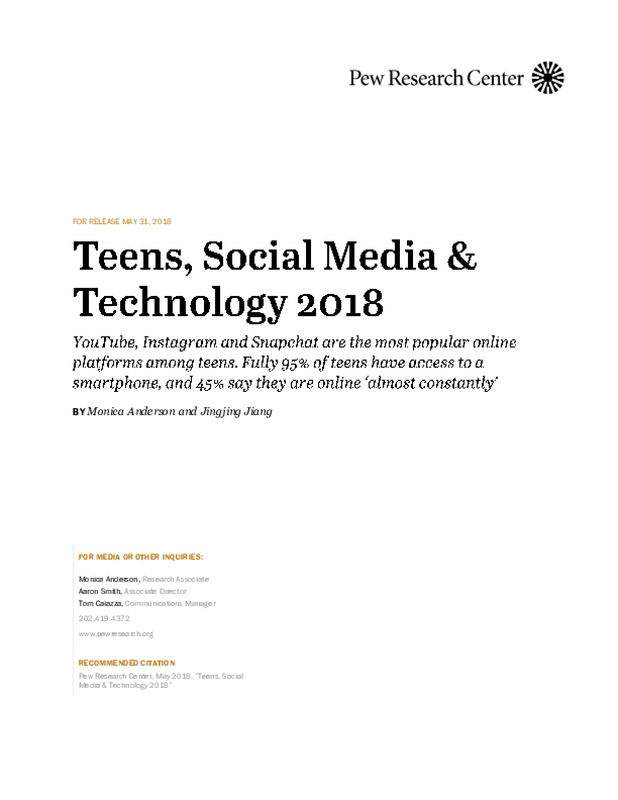 Today, roughly half (51%) of U.S. teens ages 13 to 17 say they use Facebook, notably lower than the shares who use YouTube, Instagram or Snapchat. This shift in teens' social media use is just one example of how the technology landscape for young people has evolved since the Center's last survey of teens and technology use in 2014-2015. Most notably, smartphone ownership has become a nearly ubiquitous element of teen life: 95% of teens now report they have a smartphone or access to one. These mobile connections are in turn fueling more-persistent online activities: 45% of teens now say they are online on a near-constant basis.